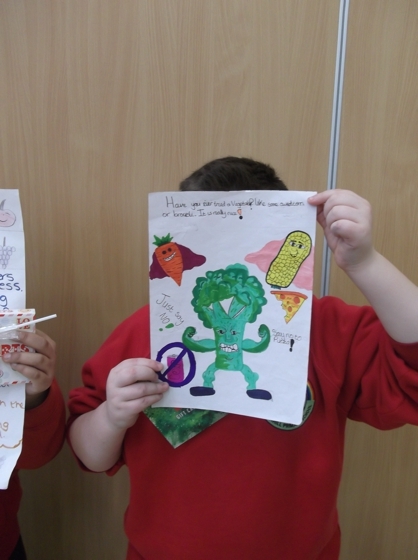 This term, children were invited to take part in designing a Healthy Eating Poster. 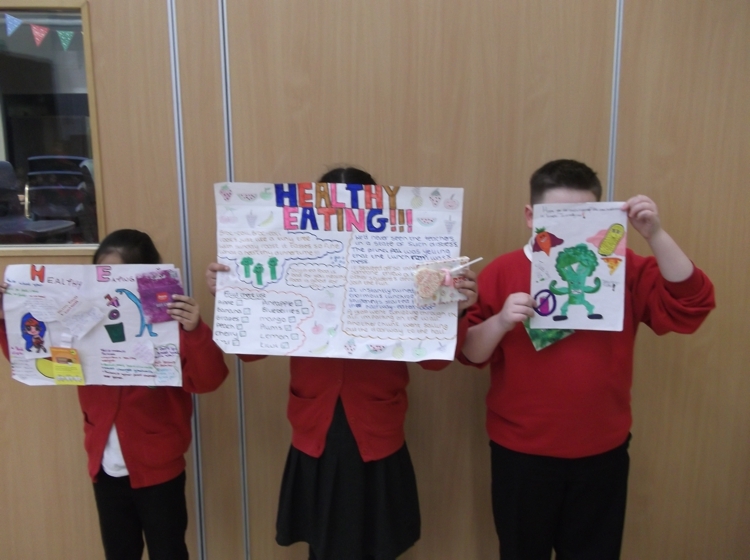 Pupils spent many hours at home creating their posters and today the Key Stage 2 winners were reveled to the rest of Key Stage 2 in an assembly. 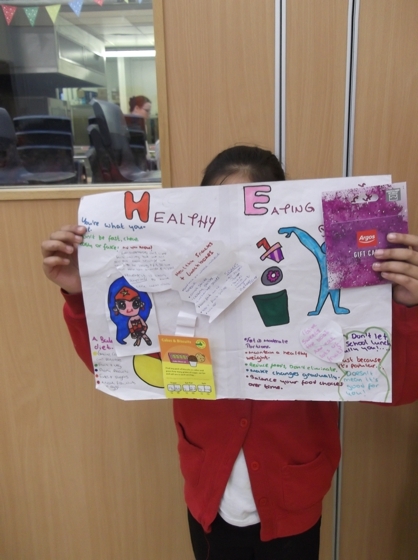 Congratulations to the runner-ups Nitasha Iqbal (Y5/6) and Farhaan Iqbal (Y3/4) who received some yummy treats as their prizes (not very healthy) and the winners Connor Wells (Y5/6) and Alinah Hussain (Y3/4) who each received a £5 Argos voucher to spend on what they like. 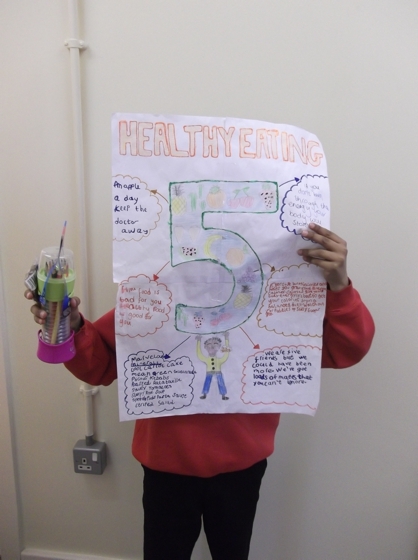 Congratulations also to Rylie Sheppard who was the runner up Key Stage 1, Jayne Okpovie who was the winner and Estal Hamza from foundation stage. 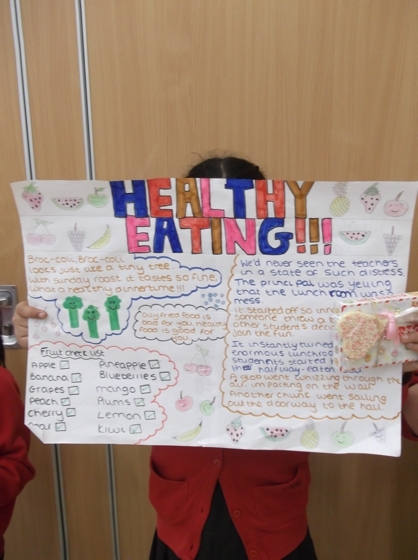 Winning posters will be displayed in the dinner hall anytime soon – keep your eyes peeled for them!